Ultrasound scans are most useful for looking at soft or fluid-filled organs; like the liver, kidney, bladder and heart. It is less effective for examining bones or air-filled organs, like the lungs. 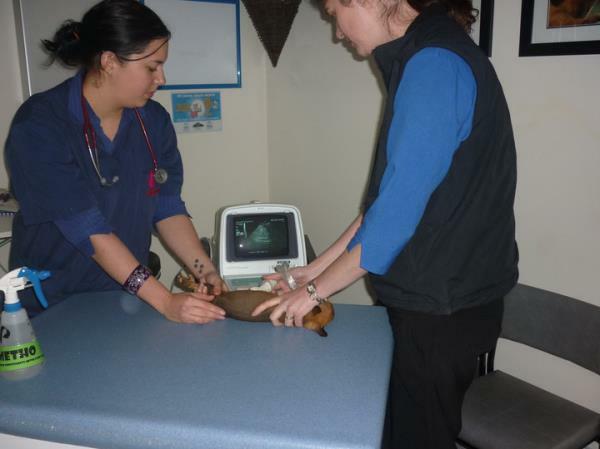 Pregnancy ultrasounds are also available but must be booked in with a Veterinarian beforehand.